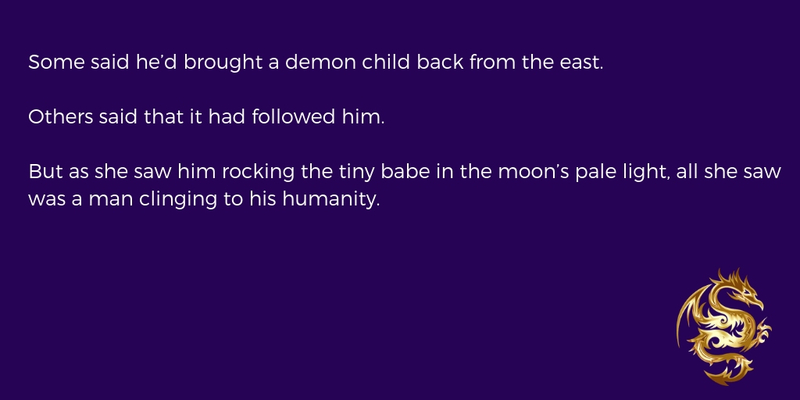 Some said he’d brought a demon child back from the east. Others said that it had followed him. But as she watched him rocking the tiny babe in the moon’s pale light, all she saw was a man clinging to his humanity. I’m enjoying this post!–it’s making me think!